Anti-Wear Hydraulic Oils are some of the highest quality hydraulic oils available and are developed for use in a wide variety of industrial and mobile applications. 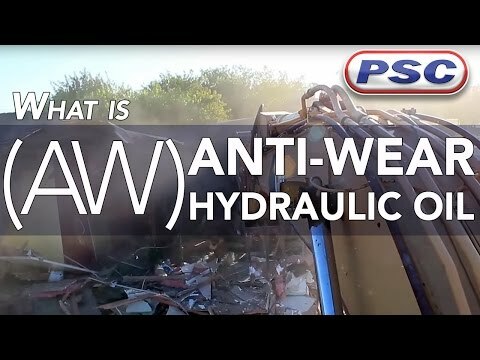 Antiwear Hydraulic Oil is designed to provide excellent wear protection for high-pressure, high-speed hydraulic pumps and motors, and to protect hydraulic system components against rust and corrosion. The midpoint kinematic viscosity of these oils may be measured in cSt (centistokes) or in mm2/s - this is where the number comes from, 32. ISO VG 32 oils have a midpoint viscosity of 32 mm2/s.